Greece: Deal or no deal? The effort to save Greece has hit a crucial 48 hours. There’s a push to get a deal agreed by Wednesday night, when the Eurozone’s finance ministers meet. If negotiations are successful we could see sign-off on Thursday, and that could unlock billions of euros in financial aid for Greece. That would remove the risk of it defaulting on its debt repayments and keep it in the Eurozone – for now, at least. The euro is likely to be volatile until a deal is officially signed. Hopes are high for a successful outcome, but we’ve made it this far before only for talks to stall. If we do see a deal, there could be sharp gains in the euro, pushing GBPEUR lower. 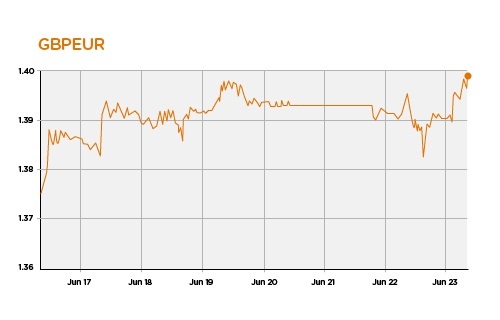 On the other hand, if talks falter or if Greece’s Prime Minister Tsipras fails to pass the measures through parliament, we are likely to see further pressure on the euro. For both buyers and sellers of euros, the next few days will be critical.